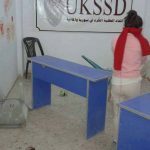 The Development of Child Capacity Through Play | Kobani, Syria. 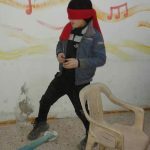 – DOZ e. V.
The Development of Child Capacity Through Play | Kobani, Syria. 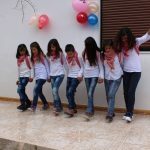 To entertain is to remove psychological stress and negative energy, to bring happiness to the heart, and to move from a depressed state to a hopefully more joyful one. It also has a big role in life, especially that of a child, for it contributes to developing a child’s skills in physical and mental aspects, and makes one more balanced and calm. 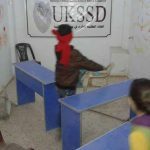 In this aspect, UKSSD e.V’s team in Kobani organized an entertainment activity for children. 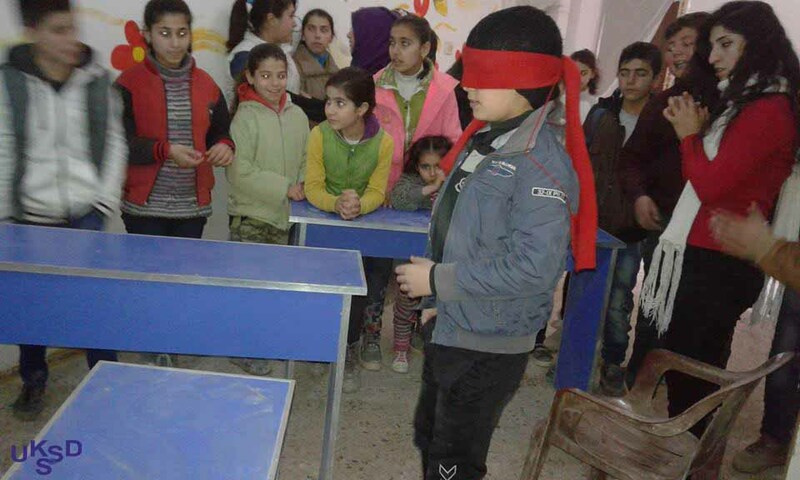 The programs of the activity contained a game where they put chairs and desks in the room in a random way and closed their eyes. 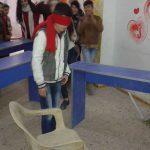 Then, they attempted to pass through chairs and desks to reach the last chair at the end of the room, so the one who can reach that chair without touching anything will be the winner. 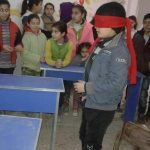 This activity was much beloved by the children. As we know, entertainment has social benefits as well. Through entertainment, children learn the values and importance of teamwork. 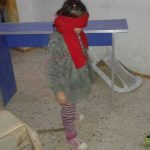 Additionally, activities such as this will help to develop their critical thinking skills and general memory.